It’s the third and final day of the 3 Days, 3 Quotes Challenge for which I was nominated by Shivangi. I’ve thoroughly enjoyed these putting these posts together, so thank you very much for the nomination, Shivangi. 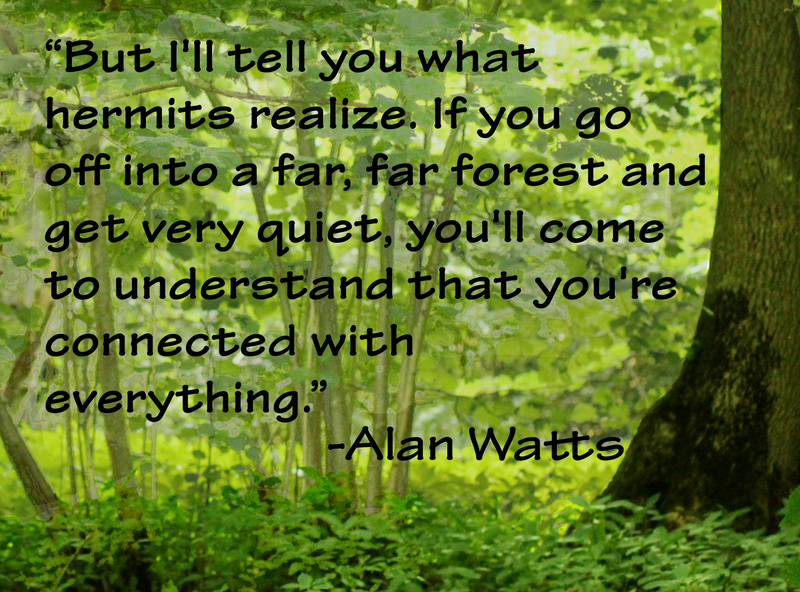 Today’s quote, foe me just had to be about nature. I’m sure you’ve all realised by now how much I love the natural world! Woodlands are my particular favourites. I’m a Nottinghamshire girl, afterall, and grew up not far from Robin Hood’s Sherwood Forest. The photograph I’ve paired it with is one I took in a local woodland – I’m not entirely certain which. We visit quite a lot of different ones. I had to edit it quite a lot to make it work as a background; all the branches made the writing quite hard to read. The serenity of the forest calms me too! Thanks for the nomination. Will get to it.